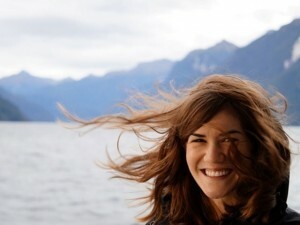 Kathryn is a social entrepreneur from Chicago with a passion for travel and giving back. She grew up in Columbus, Ohio and attended Cornell University where—in addition to studying abroad in Paris and playing varsity volleyball—received a Bachelor’s of Science in Communications and Business. After years of working in sales for large corporations, she took a career break with her husband, Mike and traveled the world doing a mix of personal travel and volunteer work. She returned from the 250 day, 20-country journey inspired to create her own social venture—Unearth the World—that strives to improve the volunteer travel industry by promoting cross-cultural learning, fostering reciprocal partnerships and elevating social consciousness through responsible international exchange programs. She now runs Unearth the World full-time.